Dreamers follow an unwritten journey leading them up different winding paths, opportunities and experiences as each passing day comes to light. Though, some believe everything is destined to happen, we continue to strive for collaboration, endurance, confidence and achievement to reach and make these goals. Sharing this unique experience we call life can be rewarding and even disappointing at times, but as we hold onto our inspiration and faith, we find that anything is possible. As owner, director, producer and writer amongst many other roles (cinematographer, singer/rapper, editor, production assistant, etc.) for Trippy Tran Films and other production companies, I have been continuing the dream and doing my best to complete some of our projects in the balance. Our goal still includes releasing our feature film debut Obliquity: Imagery of the Unknown to festivals and audiences worldwide. I’ve always been open to joining forces with other people in the entertainment industry and our love for creating and connecting will only continue to expand. (We encourage everyone to never lose sight of what they want in life!) Here are some of my own biggest feats, a new entry showcasing 40 Days of Success and determination up to this point in my life. Check back for new entries starting March 1, 2017. Believe in yourself. Believe in others. True artists are always making music whether it’s publicly released, finalized or not. This image is taken from the photo shoot on location of my new music video TBA (shhh! – details yet to be revealed!) There are a lot of surprises with the new songs and the upcoming Centerpiece EP. Working with celebrity model photographer Chris Anthony of CXL Photography fall 2016 was refreshing. I felt as I could really be myself in this video, now having lived in Los Angeles for almost 3 years and loving the SoCal atmosphere. Throwback to the club scene in the new movie Devil’s Point that I co-produced and made a cameo in with these lovely stars of the film (Alexander Sedlak and Kait Stay). It’s been since 2011, but great things take time. We hope you can’t wait to see this supernatural horror from Sovereign Entertainment and Trippy Tran Films! 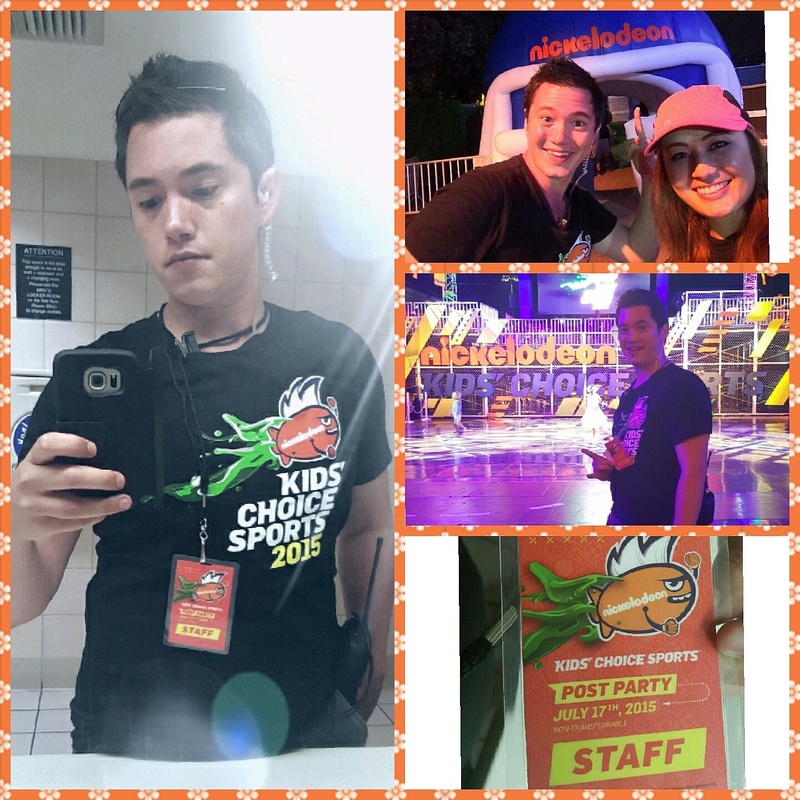 Working Nickelodeon’s Kids’ Choice Sports Awards Post Party Event 2015 & 2016. 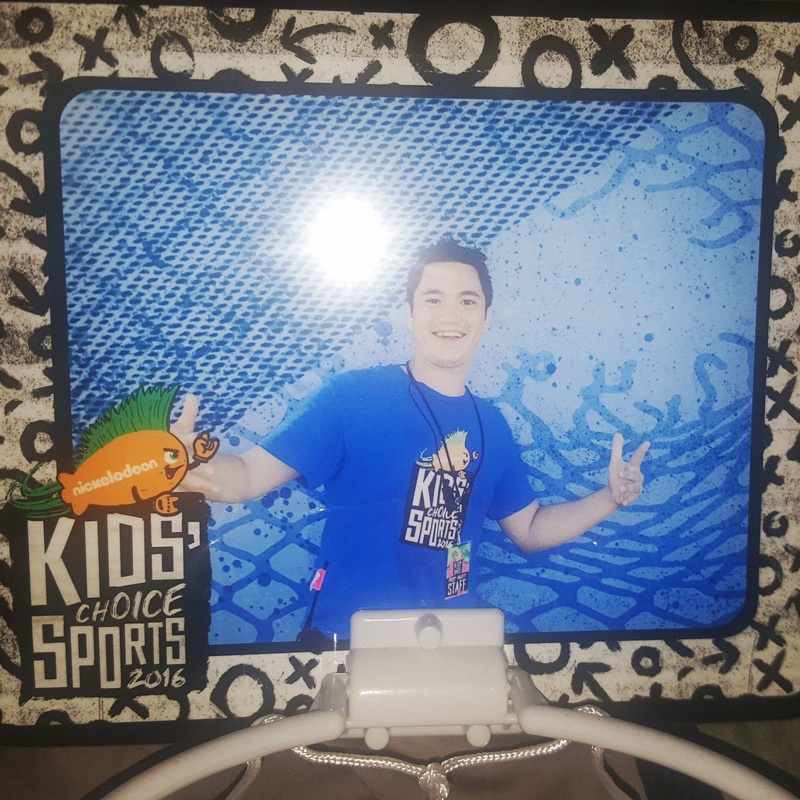 Growing up watching Nickelodeon myself, it brought me joy to pump up the youth for their photo op and was in overall exciting to be part of such an exclusive event for a second year in a row. In 2016, I was teamed up with the basketball photo booth guys and helped kids and families get their star photo moment with their print used as the backboard for a mini-bball hoop and was also given my own hoop. 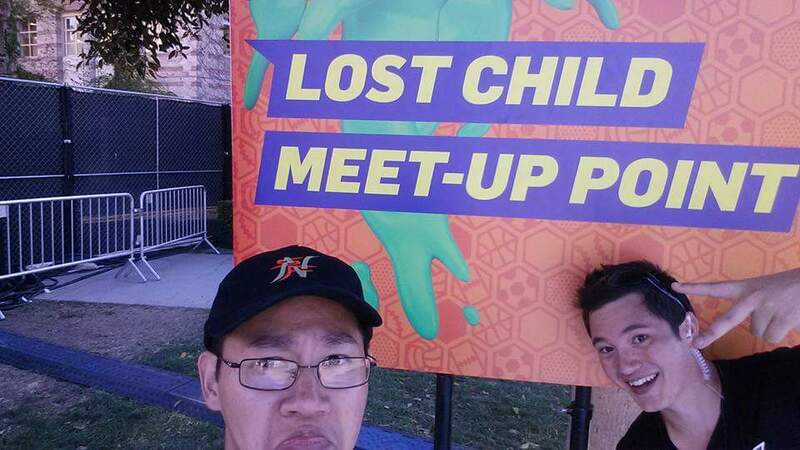 In 1 week, the Kids’ Choice Awards will be hosted and airing March 10, 2017 on Nickelodeon. Maery Queens – Long Beach with Anthony T. Tran as director of photography. Working with the cast of Mæry Queens as official Director of Photography on season 1 (available to watch for free) where I worked with MTV Brasil actor Anthony Moore (Malady, Into the Shadows), Kyle Mosonyi (“Gone” Music Video) and Ashley Hernandez (My Vacation In L.A. – Top 10 Countdown) and of course the rest of the stellar cast involved. Production took place throughout the month of August 2015 and the first 4 webisodes premiered in April 2016 with a red carpet premier at one of the filming locations: The Silver Fox. I used facebook Live during the event highlighting some of the star moments, interviews with most of the cast and even spoke on stage in front of the audience. I became so passionate about this project that I ended up writing additional segments to the show with solo confessionals with each character in between episodes that started after episode 4. It also marked my first major role debut in Long Beach and first cinematography role in Los Angeles County. Winning our first movie award in the city for our horror short COEXIST and pictured with legendary synth-funk group Midnight Star’s Bill Simmons who was also one of my instructors. In my final project in college at Brown Mackie Cincinnati, I had already directed 3 original shorts and several other music video projects, etc. Before #ObliquityMovie was started, this was the film that encouraged me to continue following my passion as we won an Audience Choice Award for a horror film in 2009! If anyone remembers that Era, horror films were coming out left and right and it was hard to find anything original. To this day COEXIST by @trippytranfilms remains bold, thought-provoking and unique. 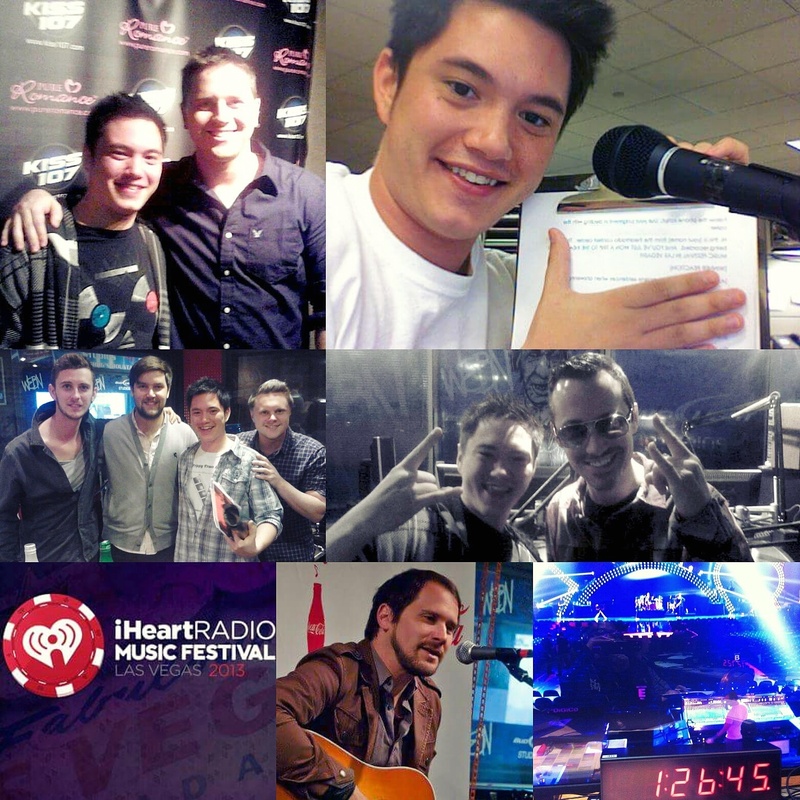 Hired at Clear Channel Media & Entertainment AKA #iHeartRadio for 3 years with 3 different job titles for radio nation. In the birthplace of radio, Cincinnati, OH I had a good friend who saw my passion and ambition for working in entertainment. 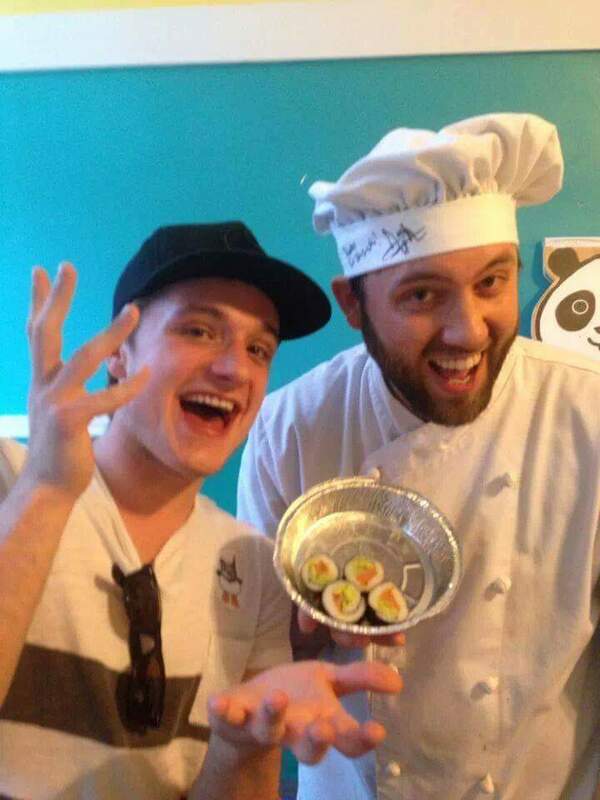 In 2011, I was hired to run national contests including giving away $1000 more than 5 times a day as well as trips to the iHeartRadio Music Festival in #LasVegas, plus, exclusively with my boss ran the private show #contest for the Justin Timberlake 20/20 Experience debut and Miami and L.A. shows and pool parties with America’s top artists. It’s not been the same since and I do miss the main jobs I had, especially sending people to big festivals and hearing their excitement when awarding them. The festival played live yesterday on broadcast television. 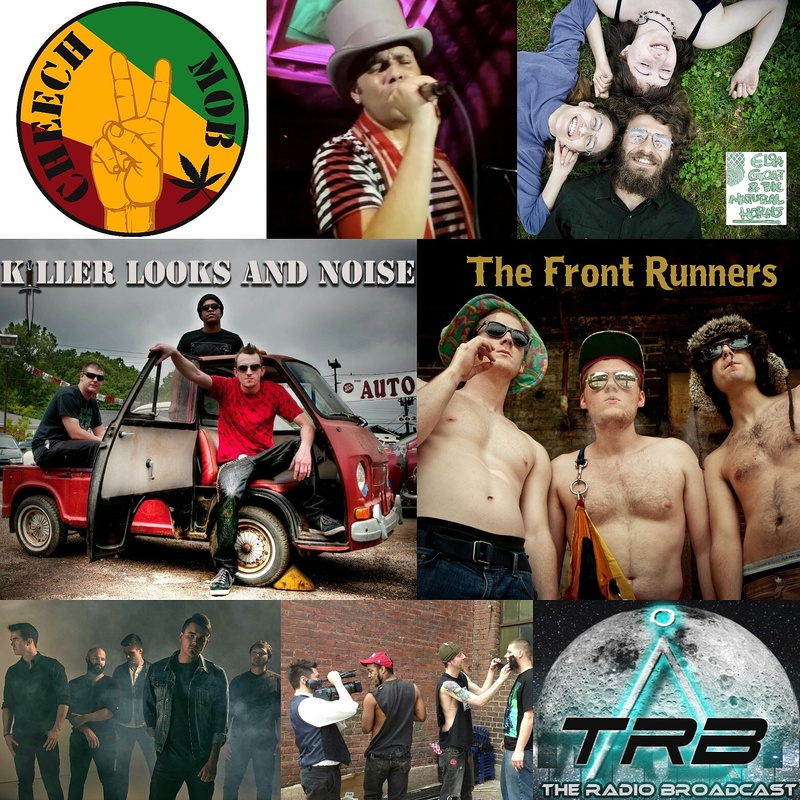 You may not be able to see all 27 bands and artists in this collage, but when we started our feature film debut, we never imagined networking with over 100 bands and artists talking submission, free posters that we’d provide to promote, and even some of the leading acts making a cameo appearance in the film. 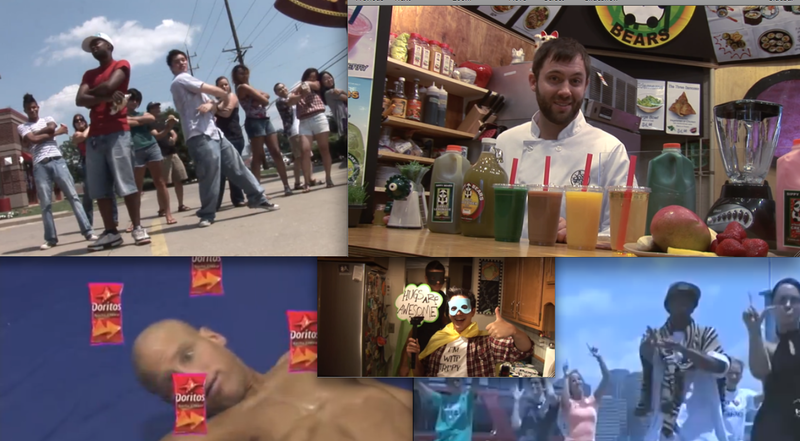 We ended up collaborating with over 150 people nationwide. Obliquity is a film that drew people in for having a positive outreach, wanting to unite several talents with the idea of us all promoting each other. A true collaboration – especially on the indie front. 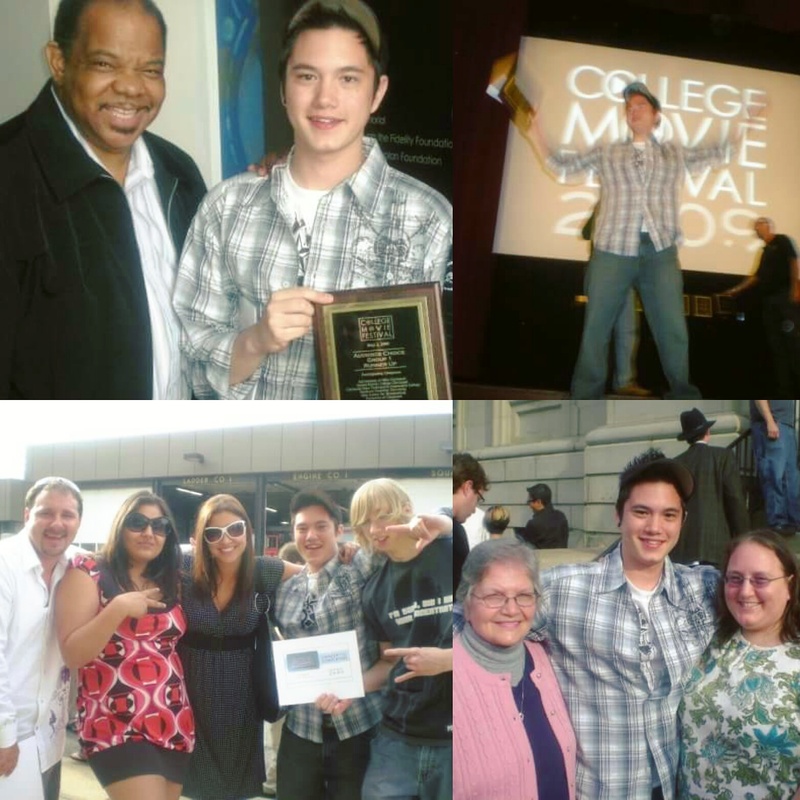 When I was 21, I began another attempt at making a feature (my first was when I was 16 for an outrageous parody film The Dumbest Horror Flick Ever) after COEXIST had taken an audience award voted on by college students: the upcoming generation. I created a film that I wanted to resonate with people that went beyond some of the garbage that Hollywood was putting out by making a movie that spoke to the human soul with ideals to open people’s minds and showcase undiscovered talent (some that were well on their way) by bringing forth a colorful connection. You can check out a list of bands and artists here and on IMDB for a full list of songs and names. 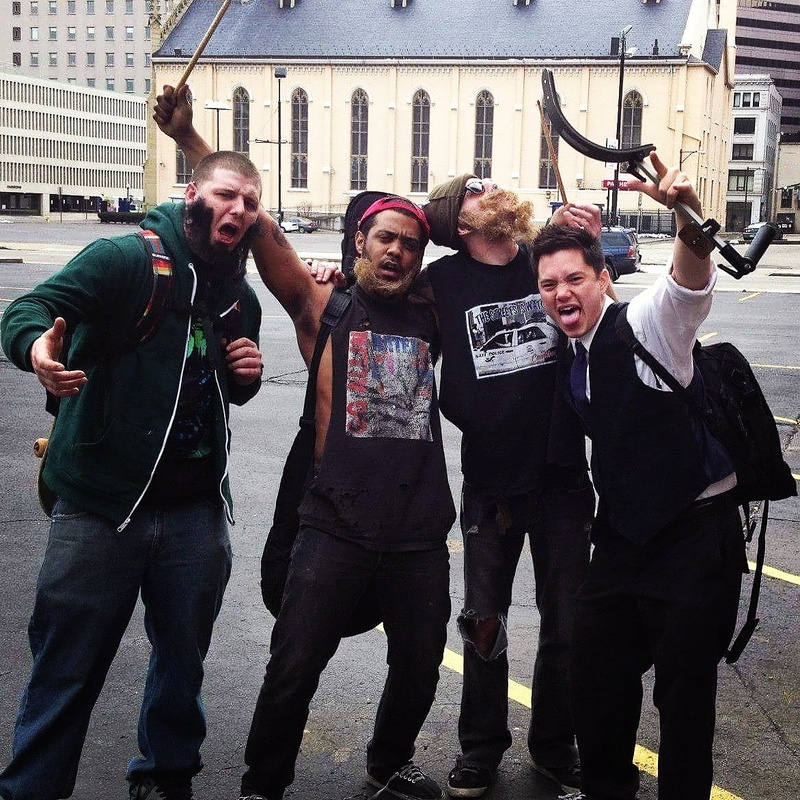 The movie track “Obliquity” by ALTERED premiered on WEBN 102.7FM Greater Cincinnati local radio. Two music videos have been made so far for our upcoming psychological thriller including “Empty Minds” by punk rock band Killer Looks and Noise. Check out the work from affiliated bands & artists on our soundtrack and let us know your favorite tracks in the comments section. SpARCHing a new change in our community and across the nation. Continuing the journey in Ohio back in 2012, I was asked to help bridge the connection between the University of Cincinnati and Hughes High School by filming a crowd-funding video that would kick off the STEM program where college students mentored high school students for their next stages in life in their field by creating an academic bridge. Advocate David Mierke approached me about collaborating, and after a successful meeting, I asked Josh Luckett of EZ World Entertainment to assist me on the production that would soon start a positive spark in education. The two of us worked with Dave and Jenna as well as the principal of Hughes High and the director of SAID/DAAP teachers. We recorded a variety of students showcasing their skills regarding architecture and design, math and science as well as their excitement for the program. After the video was featured on indiegogo and facebook, STEM ended up coming to fruition by gaining national attention from Washington D.C. and broadcasts on network news.